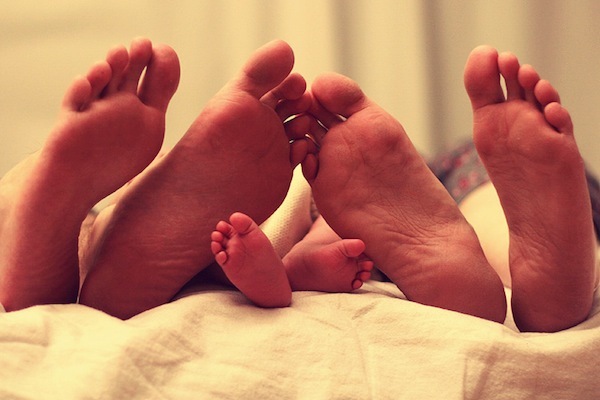 This week we asked you to share your baby feet with us! 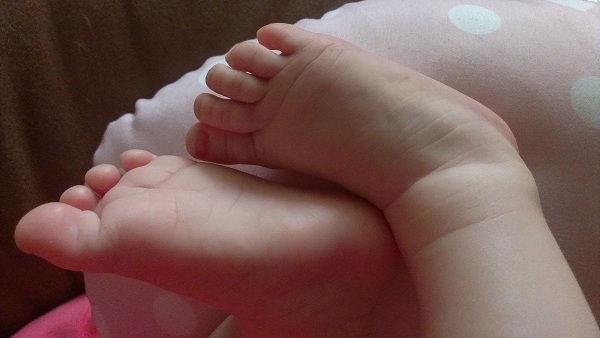 Brand new baby feet next to proud big sister’s feet! Lena blogs at Strawberry Fields. 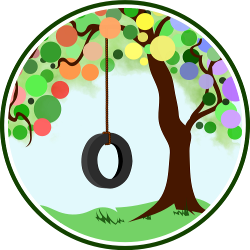 Sarah blogs at Firmly Planted. Sutra blogs at One Little Bean. 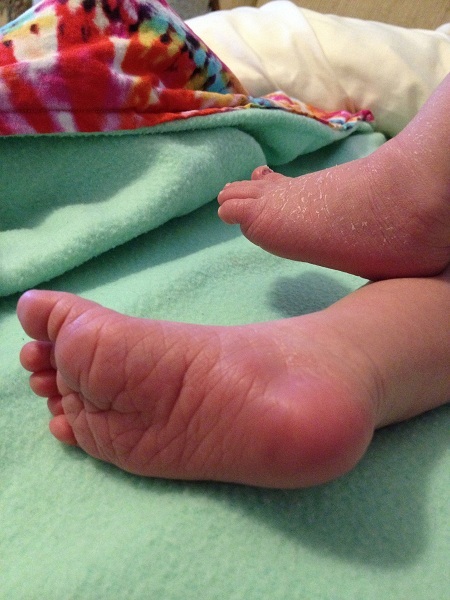 From Danielle: Beautiful baby toes! 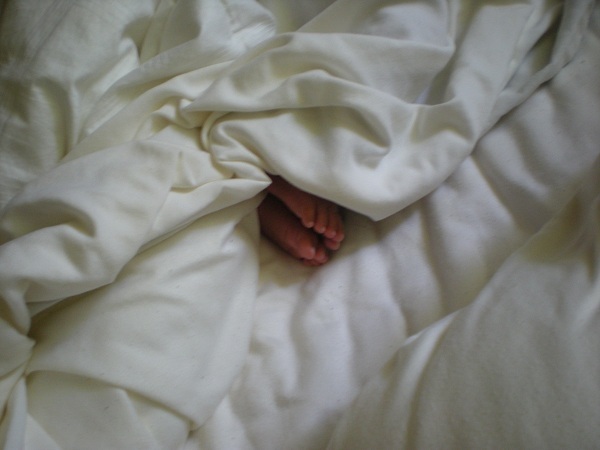 Naturemummy blogs at Motherhood: my latest adventure. 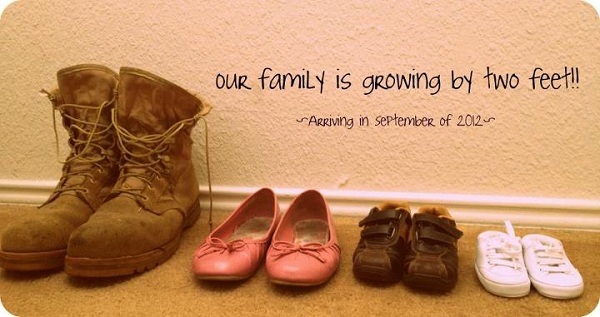 but nothing beats the pitter-patter of little feet! 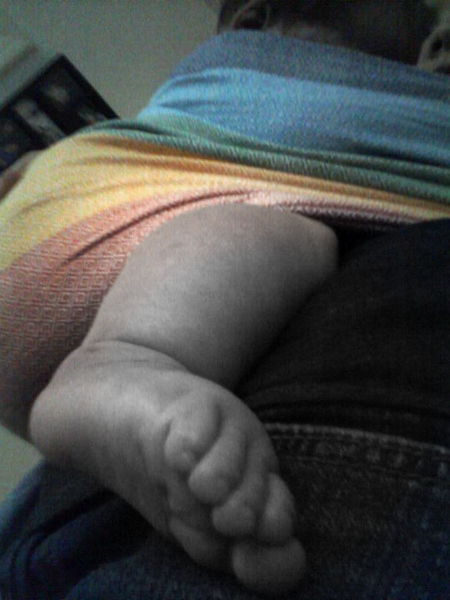 Baby Josie’s feet poke out during nap time in a ring sling. Kiersten blogs at Minimally Mama. 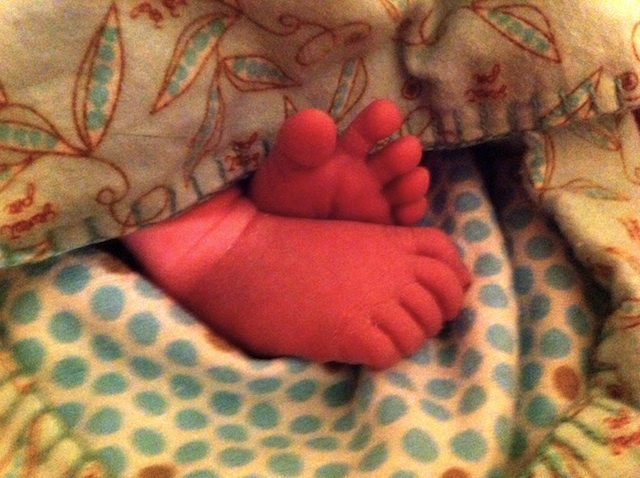 Joseph’s little baby toes peeking out from under his blanket! Amy blogs at Amy Willa: Me, Mothering, and Making it All Work. 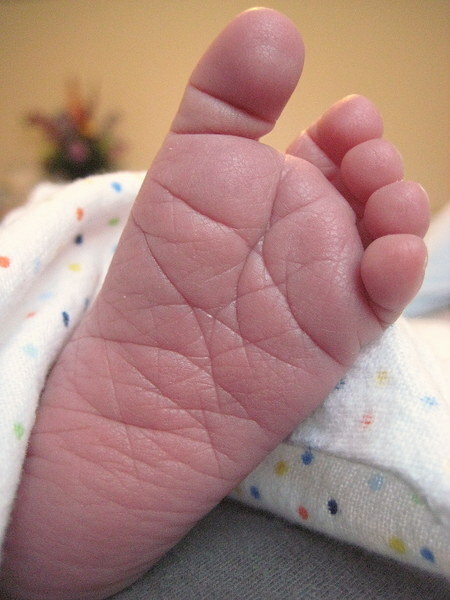 Four-day-old baby Daniel’s squishy little foot. Momma Amy blogs at Anktangle. 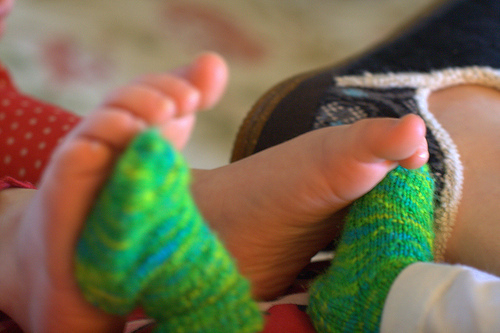 Two people were joined by two feet when Mikko was born. From Dr. Jannell Zimmerman of Sowing Wellness. 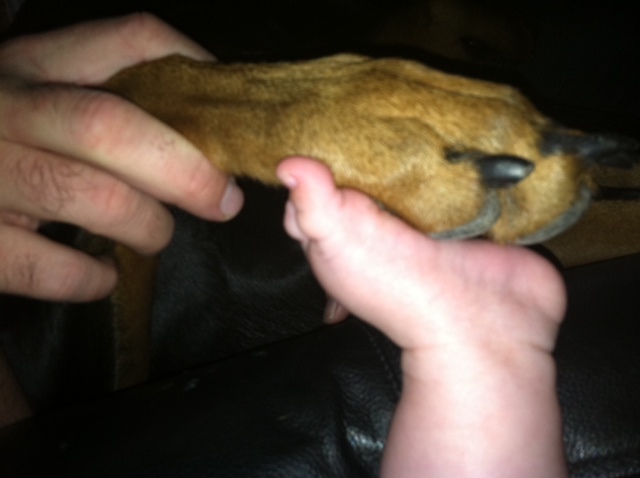 Sasha & Spencer’s adorable, monkey-toed feet! not a list of Down syndrome traits, in I did not Birth a Syndrome. 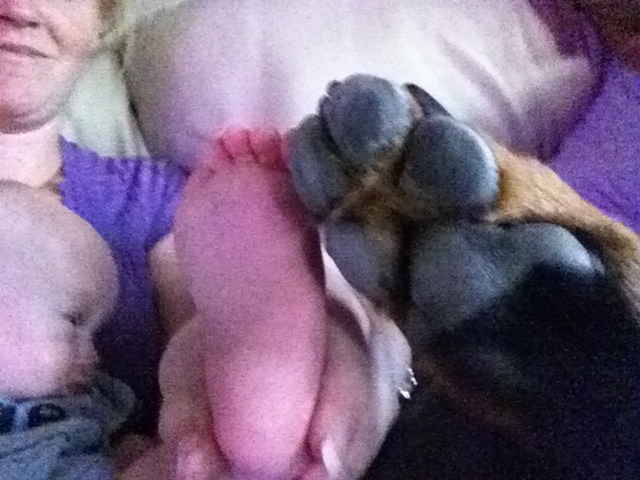 Spencer loves his feet… maybe even as much as his momma does! 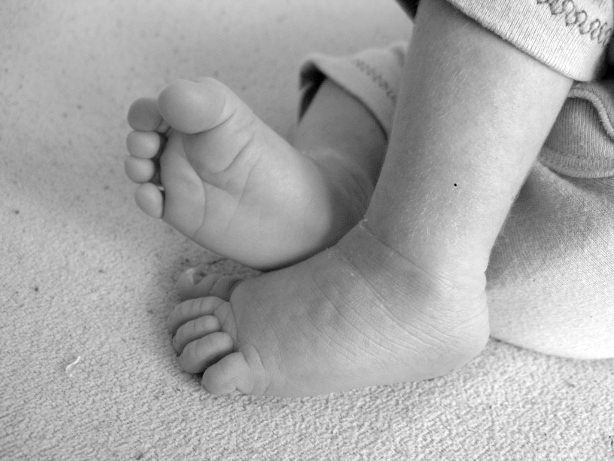 Tell us: How do baby feet inspire you? Oh my goodness, too much cuteness! I can hardly stand it! 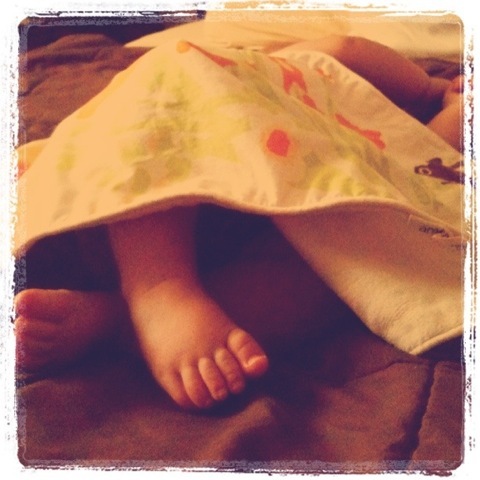 Nothing reminds me more of the fact that babies are just tiny little big people than pictures of their delicious feet!